Davies Crane Hire Add 3 New Cranes To The Fleet - Davies Crane Hire Ltd.
Davies Crane Hire has added 3 new cranes to the ever growing fleet. 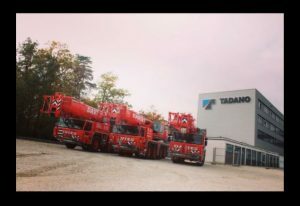 TADANO ATF130G-5, ATF100G-4 & ATF70G-4. Please check out our Crane Fleet for the new duty charts.